Keiko alerts you immediately by buzzer, light, voice and e-mail, in case troubles on your network are detected. Keiko has a built-in monitoring function for networks and IT devices. Therefore you do not need any other network management software. 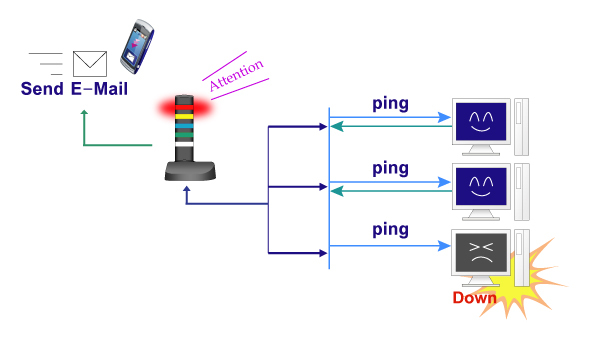 Keiko alerts almost all troubles of network devices and/or connections by buzzer, light, voice or e-mail. Controlable by external commands, using RSH, SMNP, TCP. Enhances the features of your Network Management Software.